The duty of the Government is to protect both war heroes who liberated the country from terrorism and participated in the humanitarian operation as well as the farmers who provide food to the nation. The country was liberated and the people are allowed to live without any fear and suspicion and also enjoy newly found freedom throughout the country after many decades. When all communities are prepared to march forward in unity, attempts are being made to thwart this process. There are certain elements desire to defeat the freedom and try to damage the country economically. They spread false propaganda to tarnish the good image. 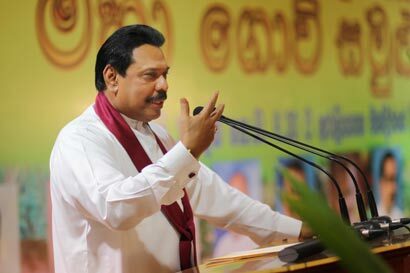 President Mahinda Rajapaksa made these remarks at the Farmers’ Conference which was held to raise awareness in the farming community about the new fertilizer subsidy at the Temple Trees today on 23 June. He said strengthening national economy of the country cannot be mixed with mere politics and nation building should carry out free from political interests. The President pointed out that he promised in ‘Mahinda Chinthanaya’ his election manifesto and allocated a large amount of money for the fertilizer subsidy which exceeds the total budget of the Mahaweli development project. Some parties under estimated the move taken by the government to provide 50 kilogram fertilizer bag at 350 rupees few years back. But the government has been able to continue the fertilizer subsidy successfully for last six years, President Rajapaksa further added. Sri Lanka is the only country which provides such a concessionary for the fertilizer and maintains a static price in the free market. The new fertilizer subsidy is being granted to tea, coconut, rubber, vegetable and fruit cultivations in addition to paddy cultivation. The Government is providing fertilizer at the cost of 34.6 billion rupees annually. The farmers have to bear only 10 percent of the value of fertilizer bag as the Government bears 80 percent of the value. Under the new fertilizer subsidy a bag of chemical fertilizer for the cultivations is being provided at the cost of 1200 rupees. It is only 35 percent of the actual value of a fertilizer bag. The Government bears the remaining cost. It is expected that the annual cost in this regard will be 18 billion rupees. The total annual cost will be more than 52 billion rupees. Ministers Mahinda Yapa Abeywardena, S.M. 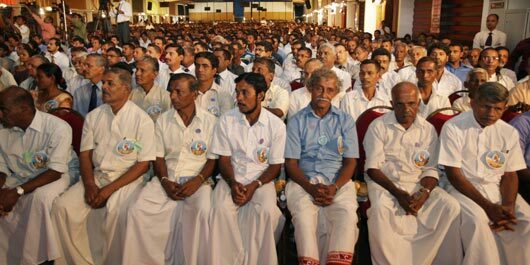 Chandrasena, Jagath Pushpakumara and Reginald Cooray also addressed the gathering. Farmers who came from all corners of the island including the Senior Minister Athauda Senaviratne, Minister Basil Rajapaksa, Deputy Minister Rohana Dissanayake, Secretary to the President Lalith Weeratunga and Government officials were amongst those who participated in the occasion. 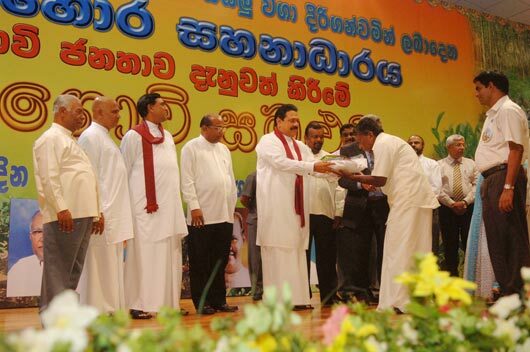 Pictures are seen here President Rajapaksa handing over fertilizer bags to farmers as a token to mark the ceremony.